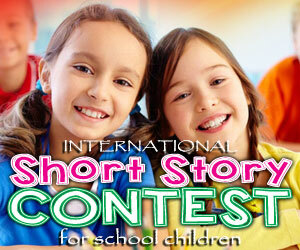 There are many interesting stories narrated in eBook format for children. Facilitating an easy read, the eBook stories let the children improve their vocabulary, learn new words and terms in English, inculcate knowledge and morals in children, etc. 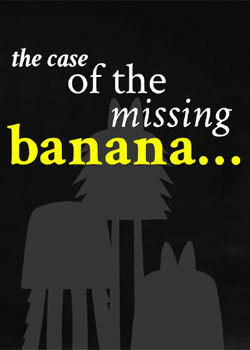 The case of missing banana is a unique story narrated in an eBook form. The story features few characters, narrated in few words, and ends in a hilarious note. This is probably a funniest story to read, given in a very simple format. Even the kiddies who haven’t developed their language skills can effortlessly read the story. Ok, this eBook story is all about investigating a case of missing banana. There were two best friends, Kevin and Arty. Kevin was tall and Arty was short one. Patrick, the sad boy met Kevin and Arty introducing himself to them. Kevin and Arty enquired why he was so sad. Patrick told his banana was stolen. So, we should help Patrick in finding his banana. Both Kevin and Arty decided to help Patrick. Patrick became so happy when Kevin and Arty told him he will find the banana for him. Now, the investigations begin. Where was Patrick placed the banana before it went missing? Patrick forgot about it. Next question, how long he was seeing the banana? Patrick had no answer. Kevin and Arty decided to try some other methods. They asked Patrick about his activities from the morning. Patrick played soccer, he read books and he partied with friends. And after the party, Patrick went to kitchen and ate something. Then where was the banana? This story is narrated as if talking to the reader. So, it creates an interest in little ones. The language used is very simple and interesting, accompanied by funny pictures of characters. For example, the introduction of main characters, Kevin and Arty. ‘Kevin- he is very tall, Arty – he is not tall as all!’ Kevin and Arty ready to help Patrick. Will you help? Unlike the colorful pictures portrayed in the eBook stories for kids, this eBook features the characters in black and white and the entire story is described in black and white pictures. This is unusual, but an essential element to narrate the funny investigations. Don’t miss it.